Both competitive runners and those who are just in it for the “runner’s high” will love all the road races Rhode Island offers. Each race is different, and may take runners through beautiful ocean-side landscapes, urban jungles, and historic towns. Celebrate at the end of your race with family, friends, and some classic Rhode Island food, too! So, what are you waiting for? Go out and start training! This late November race is a fall favorite amongst Rhode Islanders! With three courses circling through beautiful Burlingame State Park, and hot soup served after in the park, it’s the best way to spend a fall day. This race starts at Brown University’s beautiful New England campus and follows a flat loop around the Blackstone Valley for your choice of either a 5K or 3K. Bring your kids, too! There’s a climbing wall, obstacle course, and a challenge to score a goal against Brown’s soccer goalie, too. Runners choose between competing in either a 5-miler or 5K, and kids can compete for free in a 1K for free which takes place on the beach. Afterwards, celebrate with chowder and drinks for all! This April race starts early but ends with a bang! Stick around afterward for Live Irish music at Murphy’s Irish Pub. The race is also equipped with plenty of water stations, energy drinks and power gels to push you through until the end! Take a tour of the City by the Sea as you run this amazing marathon, which can qualify you to compete in the Boston Marathon! Be warned—the course is full of rolling hills, which add to its charm but make it a bit more difficult! The best part of this USATF certified and chip-timed race is the fact that it’s followed by a food truck festival and beer garden! All the proceeds go to benefit the Bristol Warren Education Foundation. Every year before Halloween, the East Providence Firefighters host a fun and festive race, where running in a costume is encouraged! The course goes uphill and snakes through historic Rumford—so make sure your costume is light enough to deal with the uphill route. This enthralling race takes place in DownCity Providence every year. Participants can create teams and fundraise for their favorite charities, too! And if you’re a competitive runner, this marathon is choice for qualifying for the Boston Marathon because of its flat course. This steeplechase through Colt State Park isn’t for the faint of heart. Runners will have to leap over hurdles, water pits, and even scramble along the beach. If you don’t want to go through this challenge alone, don’t worry—you don’t have to! Join the race as an individual or as a two-runner relay team. 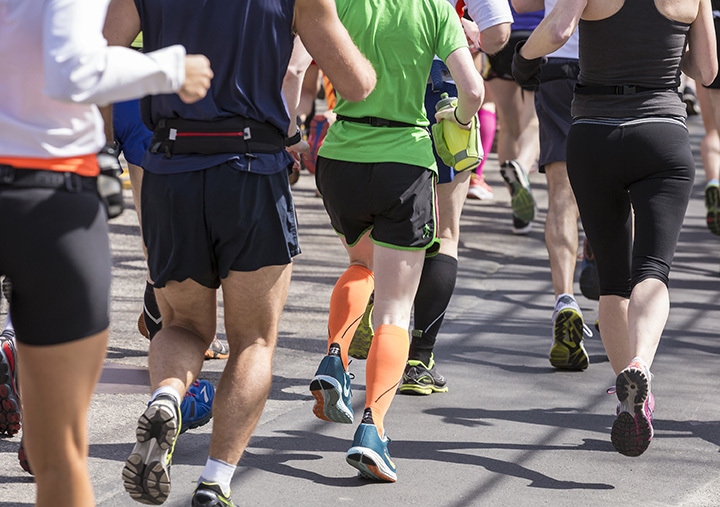 This marathon takes runners on a course of 2.7 miles, which they must lap nine times, and then complete a quick “there and back” of 1.9 miles. Red Island overlooks Narragansett Bay and is home to some beautiful—albeit slightly rolling—hills. View more Rhode Island Road Races.